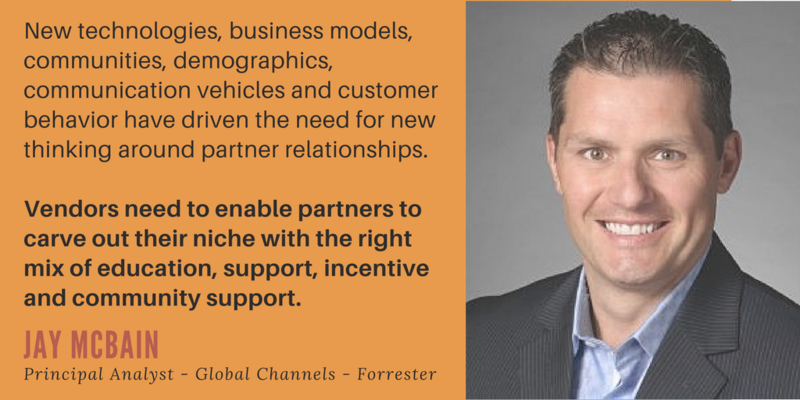 So, you’re tasked with planning and executing on all aspects of your organization's channel strategy, and you know that choosing the right channel enablement partner is a critical component to your success: Where do you start? What questions should you ask? How do you ensure success? This guide will provide you with the seven most important factors to consider and questions to ask as you evaluate the right channel enablement provider for your organization. Start with the simple question: How long has your prospective channel enablement provider been in business and how deep does its expertise go? A reputable provider will have a track record of success as well as the certifications and awards to prove it. According to CSO Insights, Channel partners take over a year to become fully productive, according to 24% of companies. You want to hit the ground running with a provider who knows how to strategize, scale and adapt. “Partner success is something that vendors have measured for years, but changes [are coming] to that process. Historically, this has been easy for vendors to measure, but this is now being redefined. Customer success must be a priority for both vendors and partners. It will be drilled into vendor programs and be a core part of partner measurement.”- Paul Edwards, IDC’s Research Director, Software Channels Research. Once you validate the general track record of a prospective channel enablement company, dive deeper. Ask for testimonials and case studies that prove that the partner has worked with organizations similar to yours and will not be testing unproven ideas and strategies on your dime. The same keen attention to detail that applies to looking for specifics in testimonials and case studies should apply to the proposed roadmap. You want to get a full picture of how your partner in driving future channel enablement and strategy will help you reach your goals. Today, in the age of globalization and extreme speed of change, almost anything your business does can be replicated, including hardware and software. What can’t be copied, however, is people, culture and an agile go-to-market strategy that anticipates who and what your business needs. This is the reason why organizations that are successful in the channel take their hiring strategy seriously and only choose the best sales and partner candidates. For your channel ecosystem to be successful, it will need to have an infrastructure that supports proper training, enablement and support. If your channel enablement solution provider doesn’t have a proven and agile approach to recruit partners, everything that happens after that will be a waste of time, money and resources. Your partner network needs to be engaged and motivated. According to a CSO Insights Channel Sales Optimization study, results for the top 20% firms in the study with more than 55% of partners achieving their annual targets, show that 83.3% of firms provide marketing and lead generation support, and 61.1% of firms provide deal coaching/forecast management support. These numbers prove that if you want to succeed with channel sales, you need to help your channel partners with sales and marketing. According to an article from CNBC, an average person today sees over 5,000 ads a day, which means to be successful, your marketing materials must be engaging, otherwise, your message will get lost in the clutter. Leaving your partners alone and hoping that they will start delivering on their own is a recipe for disaster. 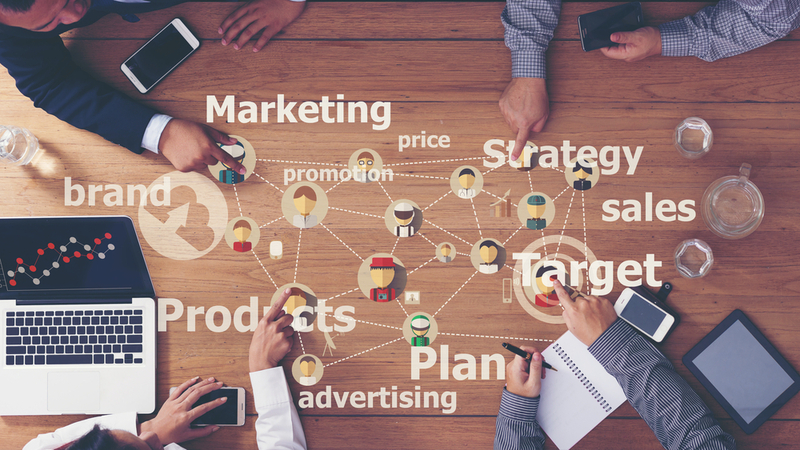 You know your products and services better than anybody else, which is why the best way to help your channel partners meet their goals is to help them by developing marketing programs with them and for them. Marketing has elevated to mission-critical status for channel partners. To thrive in a competitive market, effectively implementing a marketing program that leverages a healthy mix of tightly integrated outbound and inbound marketing tactics, makes all the difference. Everything in the business world today is changing rapidly. Your network of partners will be exposed to changing technology, new offers from competition and expanded demands from clients. This is why partner recruitment, engagement and even marketing are not enough. Your partners need ongoing quality support through training, recertification, and continuous feedback. How Does CGS Stack Up? Ranked as a top 500 Managed Service Provider by CRN, CGS has a developed proven strategy for driving revenue from channels over the course of 30+ years. CGS has long-term relationships with clients in many industries, including software, hardware, security, networking, technology and telecom. 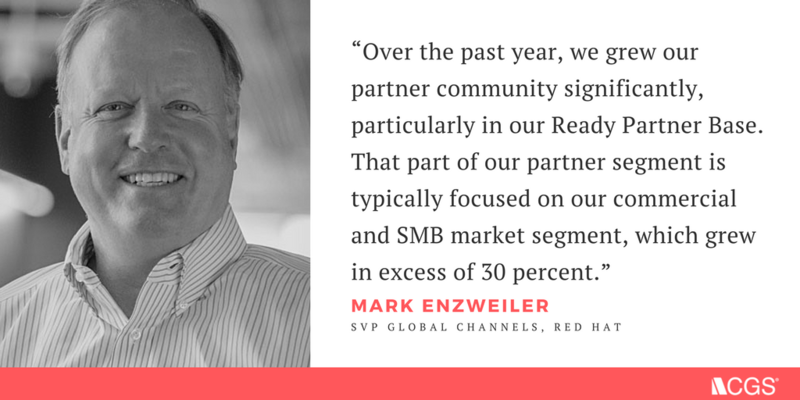 One of our most-read case studies around channel strategy, its ROI and revenue generation features Red Hat, an S&P 500 tech company and the world's leading provider of open source solutions. Over the years, CGS has created its channel engagement methodology and helped the vendors it works with to recruit and support over 45,000 partners. This number means that the methodology has been tested over and over again and that it works. Because of its proven track of success, CGS has the ability to increase sales by identifying and recruiting partners who align with each vendor’s core markets and goals. CGS takes the time to learn about features, benefits, priorities, goals and offerings of each organization it works with, which is why you can be sure that your channel partners will receive high-quality marketing support when you work with CGS. 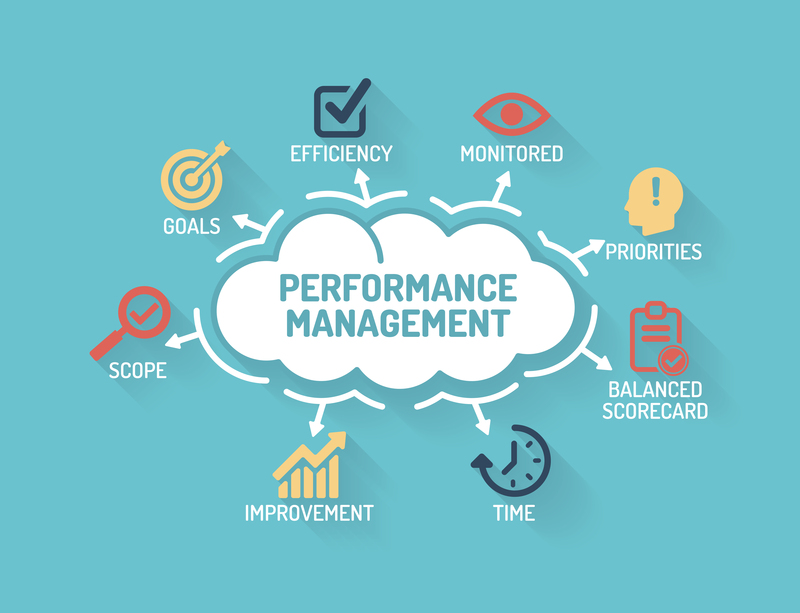 CGS goes beyond the typical KPIs to help our clients succeed, and the results speak for themselves. CGS’s clients in the business partner channel program regularly see a 30% increase in incremental revenue year-over-year. If you are interested in finding out more about how channel sales enablement programs can help your business grow check out CGS services here.